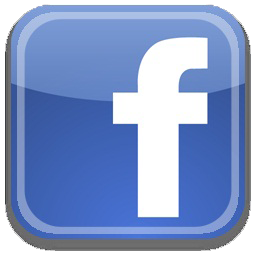 For the most up to date information related to SFCAHV, visit us on facebook. The Human Rights Commission staffs the San Francisco Coalition Against Hate Violence, which is comprised of over 20 agencies representing a broad array of nongovernmental organizations, government agencies, law enforcement agencies, service providers, educators, and community members, all of whom are committed to ending hate incidents and hate crimes in San Francisco. The Coalition meets quarterly to share information, allow for networking opportunities among members and to develop educational programs and outreach opportunities to combat hate incidents and hate crimes. According to the San Francisco Police Department, hate crimes are among many types of crime that go under-reported each year. Since laws are in place to protect victims of hate violence, it is important to understand what hate incidents and crimes are and to report them to the proper authorities. A hate incident is any non-criminal act, including words, directed against a person(s) based on that person(s) actual or perceived race, nationality, religion, sexual orientation, disability or gender. Hate incidents include, but are not limited to, epithets, distribution of hate material that does not result in property damage, and the display of offensive material on one’s own property. Not all incidents of hatred are crimes. Verbal name calling, although offensive, is not a crime. For this to be a crime, it must be accompanied by a viable threat of violence and ability to carry the threat out. In order to categorize this as a hate crime, the crime committed against the victim must be in whole or in part prejudice-based. A hate crime is any criminal act or attempted criminal act directed against a person(s), public agency, or private institution based on a victim’s actual or perceived race, nationality, religion, sexual orientation, disability or gender. A hate crime includes an act that results in: injury, however slight; a verbal threat of violence that can apparently be carried out; an act that results in property damage; and/or criminal acts directed against a public or private agency. Report the incident immediately to the San Francisco Police Department. If you believe your life is in immediate danger, call 911 by phone. Write down verbatim the hate language, which was made to you by the offender. Save any evidence (letters, writings, photos, videos, etc.) that may assist in the investigation and prosecution of the person(s) responsible for this crime. Contact a representative of the San Francisco District Attorney's Victim Services at (415) 553-9044 or an appropriate CBO that will assist you through the legal process. If you have general questions about your case, contact the investigating inspector at the SFPD Hate Crimes Unit at (415) 553-1133 during regular business hours. For more information about CAHV, please contact Sneh Rao at Sneh.Rao@sfgov.org.